I really don't have an answer to that, but Lindsay and I came up with a possible solution. 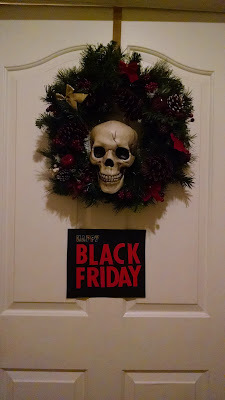 This year, we decided to skip the shopping trip altogether and throw a good old-fashioned Black Friday party for some of our closest friends. We picked up Black Friday decorations weeks ago - for some reason, they got really cheap at the start of November. 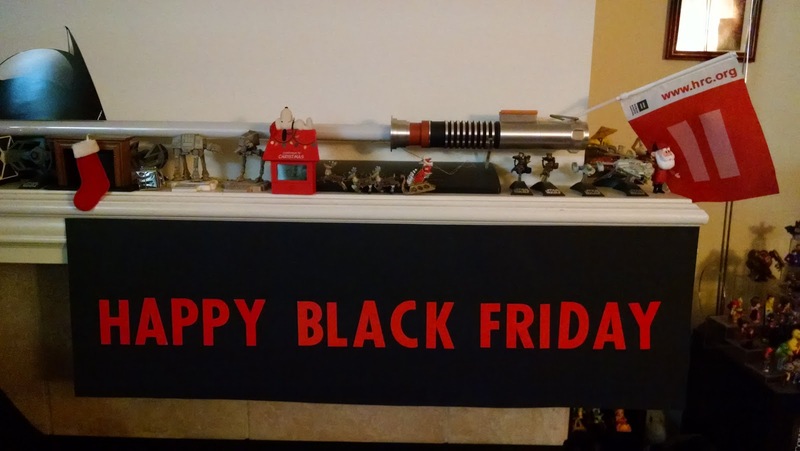 I know - I was surprised they dropped the prices right when people would be thinking of Black Friday, too, but I've never understood marketing. We set up the apartment the night before and snapped a few pictures while we were at it. Take a look. We wanted to really capture the spirit of the holiday right from the get-go. Here's our front door - I bet the neighbors are thrilled! 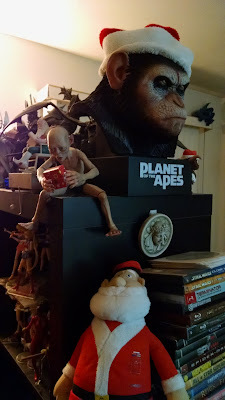 Here's part of our living room. 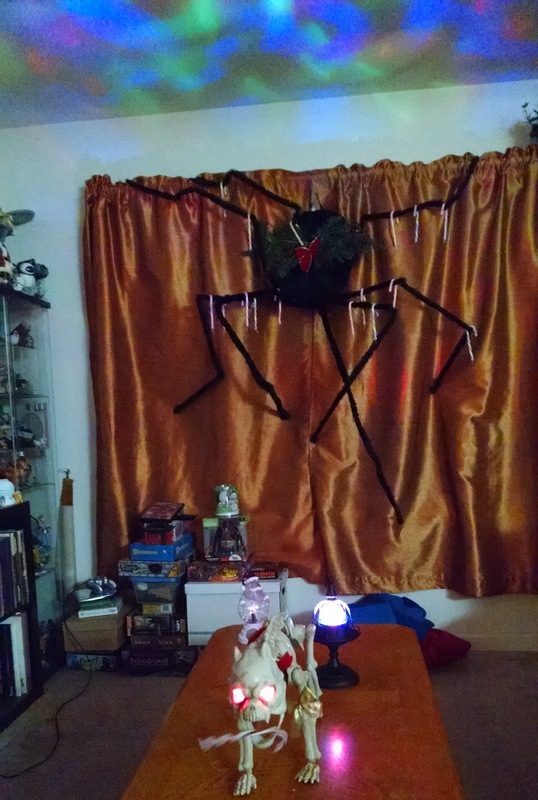 You can see the traditional Black Friday Spider in the back, coming to offer candy canes to all the good boys and girls. You're free to grab one, but be quick about it! In the foreground, you can see Prancer, the magic re-animated dog skeleton. More in him in a moment. Little known fact: the Black Friday tree originates from New Jersey! 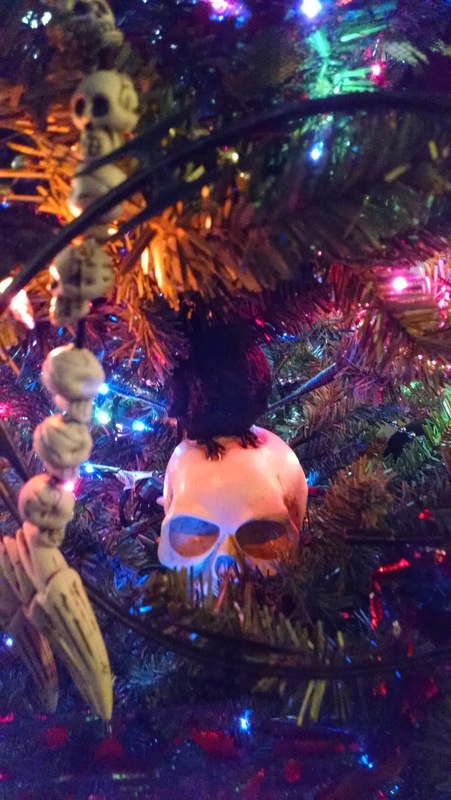 Once again, we stuck with tradition, decking it in festive razor wire and skulls. 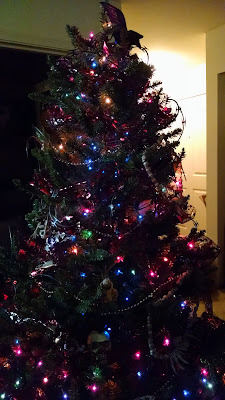 A close up, so you can see some of the decorations. 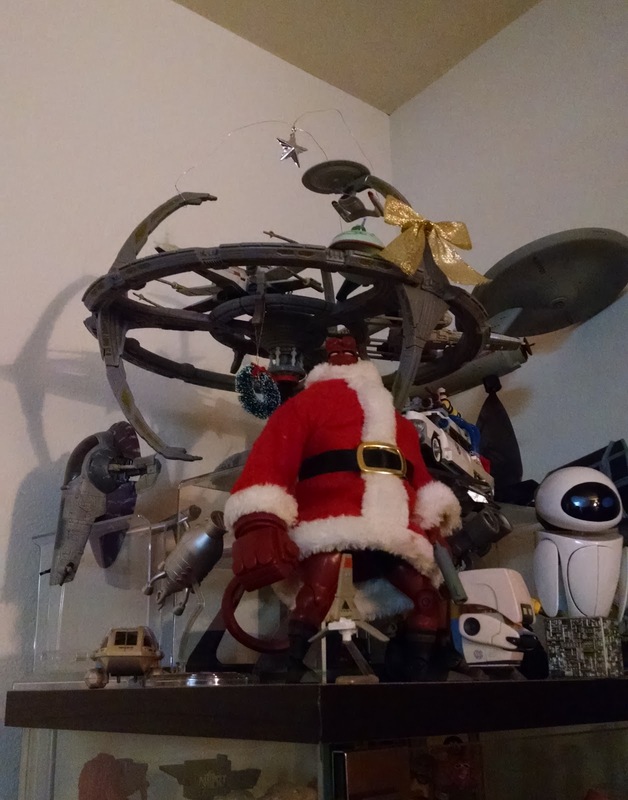 I know a lot of people are starting to buy artificial Black Friday trees, but we went with actual plastic. This is the table where we put the snacks. Also, the souls of the damned bound to watch over them. We like to incorporate our normal decor into our festivities, as you can see in the above photograph. 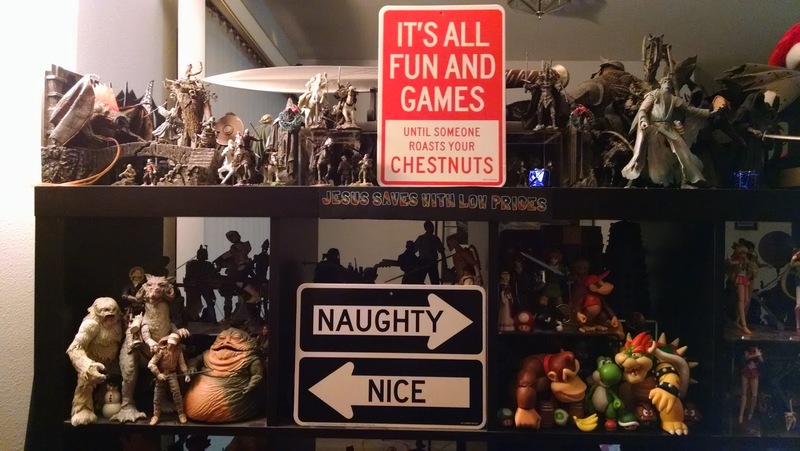 Here's another example of our holiday decorations! Before we wrap up, I want to give you a closer look at Prancer. 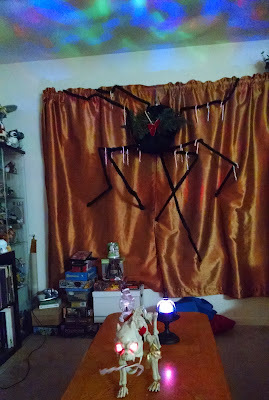 He loves candy canes, which is why the Black Friday Spider is one of his best friends. Here's a video showing what I mean. epic. I'm so sorry we missed it! I'm thinking we need doorbusters next year. 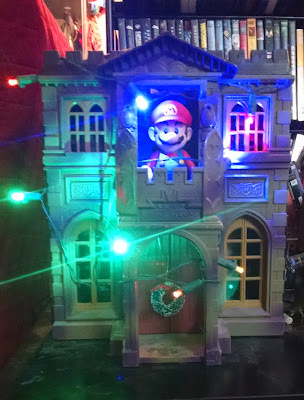 Festive! Did you get to check out the #talesfromblackfriday hashtag that was trending on Twitter? Seems right up your alley.